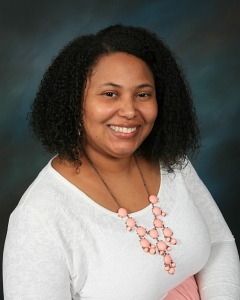 Ms. Bell earned her Bachelor`s Degree in Elementary Education from Fayetteville State University. She earned her Master’s Degree in Counseling with Honors from Capella University. Ms. Bell is a Licensed Professional Counselor Associate and a Licensed Clinical Addiction Specialist Associate. Ms. Bell is trained and credentialed in the clinical setting, addiction counseling, problem gambling, effective boundaries in therapeutic relationships, person center planning, domestic violence screening in clinical setting, crisis response, mobile crisis management, advance access, motivational interviewing and person centered thinking. Ms. Bell will develop a collaborative relationship between her and the patient to work on any presiding issues. Her therapeutic approach is eclectic typically blending Cognitive Behavioral Therapy, dialectical Behavior Therapy, and Gestalt Therapy. During sessions, Ms. Bell will tend to combine expressive arts techniques such as music, acting, writing, or art. All of the therapies and techniques listed are well researched and respected; she encourages everyone to become familiar with these therapies to see if they are are the right fit for them. In her free time, Ms. Bell enjoys watching Netflix, browsing the internet, retail therapy, event planning, crafting, volunteering with local organizations, and traveling.